In our lives, one of the most important things we can have is the collection of people that we surround ourselves with. When you go to a casual friend or acquaintance for advice, a lot of times what you are going to get is someone else’s opinion on what it is they think you should do. That’s how advice works. But, we all know that sometimes we don’t want their opinion on what we should do, we want someone to just say, “go with your gut, either way you’ll be just fine.” My experience with advice is that when people want it, they already have an idea in their head, they just want someone to agree with them. Your real friends will know you well enough to understand that, and know you well enough to know what it is that you are already thinking. It seems inevitable that at some point we will have to ask our friends for help. It’s not always a financial thing or an emotional thing, it can be any time that we are lacking something that someone else can help us with. Casual friends tend to ignore the fact that sometimes the hardest thing for some people is actually having to break down and ask for help. When it comes to a real friend: if you ever needed it, you wouldn’t even have to ask for the shirt off of their back – they’d put it in your hands before you could ask. 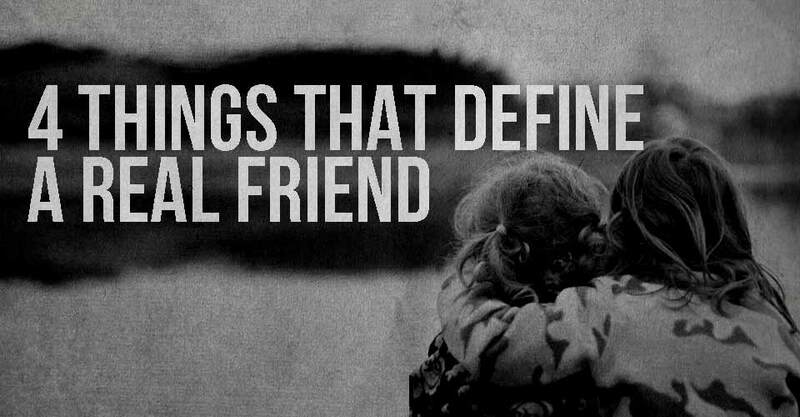 Read: Loners Tend To Be More Intellectual and Loyal Friends. Loyalty is a concept that is lost on a lot of people these days. We live in a “throw-away” era where if something is broken it just gets discarded instead of fixed. Casual friendships are a prime example. Just try asking one of your drinking buddies for an important favor, or try to open up emotionally to one of your fantasy football league members from the office. They are likely to look at you like you are crazy, or assume you are needy. Real friends understand the concept of “through thick and thin”. As soon as it’s time to get down and fight through some of life’s battles, casual friends step back. Real friends step forward. No one can razz you quite like your closest of friends. It’s the “I can say this, but no one else could” mentality that a lot of us have in our friendships. The difference is that a real friend razzes and comforts at the same time. They realize that none of us are perfect, and although they may give us hell about our mistakes, they are right there to help us clean them up while they do it. Are You Surrounded by Sociopaths?